Kenya is almost entirely dependent on imports for, raw materials for plastic packaging at present. In the Kenya the most demanded material in the field of packaging market is polyolefin, followed by PET.Kenya’s East African market is one of the leading regional packaging markets. The increase in per capita income in Kenya has led to an increase in packaged foods and fast-moving consumer goods. Especially the plastic packaging and food packaging market. In the summer of 2018, Kenya’s top packaging machinery supplier Ishida Europe signed a cooperation agreement with Allwin Packaging International, to announce its entry into the East African food market. In the next few years East Africa’s packaging industry has grown substantially, global packaging equipment suppliers have set their sights on East Africa. As East Africa has a large middle class populations that rely on packed goods for their day-to-day requirements and also Africa has the youngest population group among all continents. In the next few years, the market level in the region is expected to increase fourfold. One-third of the 1.2 billion people in East Africa are middle-class consumers. Kenya can convert approximately 250,000 metric tons of paper per year. The industry’s total turnover reached 40 billion shillings and employs approximately 13,000 people. 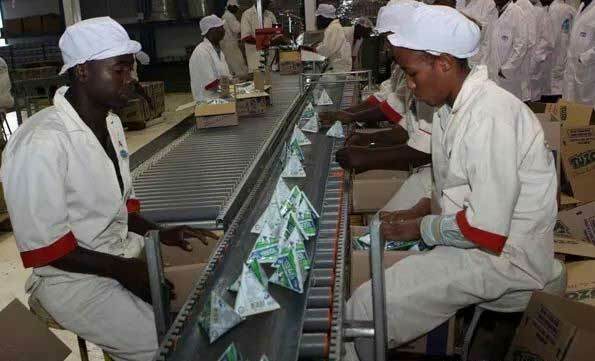 The East African Community (Kenya, Uganda, Tanzania, Burundi, Rwanda, South Sudan) has four large paper mills.The paper packaging industry has become an indispensable part of Kenya’s industrial development plan as four large paper mills are not enough. Annual demand for steel is estimated to be about 480,000 tons to 600,000 tons in Kenya, of which about one-tenth is imported. In the past decade, the region’s demand for steel products has grown rapidly. Due to its geographical location and transportation advantages, it also attracts neighboring countries to Kenya to purchase metal packaging products. At present, Kenya’s domestic steel industry is constantly improving. Major metal packaging manufacturers in Kenya include Friendship Container Manufacturers Limited (FCML), Nampak Kenya Limited and Greif Kenya Limited. , Kenya’s major paper packaging manufacturers are East African Packaging Industries Limited, Dodhia Packaging Limited and Allpack Industries Limited. Kenya's packaging industry is soaring to new heights in the next decade or so.